I started the older kids stapling together small, Dixie cup size, paper cups, into a dome, following instructions for a building project from Steven Caney's excellent, Ultimate Building Book. 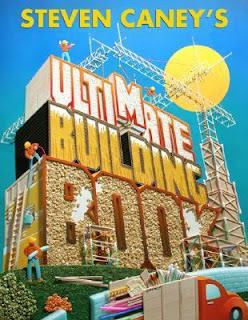 The book is not the most exciting, but it's jammed full of wonderful building projects for children, and teens. ...and attaching some together with clothes pins, and tape. Either way, I was impressed with the boredom buster mileage from an inexpensive package of generic paper cups. It sounds like a fantastic book, especially with proper number of builders :) Love the imagination of your youngest! What a great boredom buster, it even gave our evening a little more smiles and laughs. Love the hat! I wonder if you can make a dome or a sphere with them. Love all the creative ideas! Have you done any more projects from this book? I was wondering what other building things are in it. I was thinking of buying it for my child who is always wanting to build but didn't want to spend the money if it wasn't more useful. Beloved's Bride - It has all kinds of terrific building ideas, and instructions, but I think I wouldn't buy it for anyone under 8.